It is that time again. The annual ritual at the United Nations where the Somalia Eritrea Monitoring Group (SEMG) presents its findings, and Ethiopia and its handlers find way to prolong the SEMG’s mandate, and with it the illegal sanctions on Eritrea. It’s has been the predictable circus at the UN since the US and Ethiopia engineered the unjust sanctions resolution 8 years ago. The African Union (AU) and the Intergovernmental Authority for Development (IGAD) served as the “African faces”, in what Susan E. Rice, the then US Ambassador to the United Nations, announced the sanctions against Eritrea as an “African Initiative” on 23 December 2009. • The IGAD and the Africa Peace and Security Resolutions were passed under the chairmanship of Ethiopia. Although Ethiopia and its handlers continue to tout it as an “African Initiative”, with the release of the WikiLeaks American Embassy documents, the behind the scenes shenanigans of the Ethiopian regime and the US Mission in NY have been exposed. The reports by the UN Monitoring Group that claimed 2000 Eritrean forces were fighting alongside the Union of Islamic Courts have long been discredited and the minority regime in Ethiopia was the source of that “faulty intelligence”. In four consecutive reports, the SEMG has said that it had found no evidence to support the allegations that Eritrea supported Al Shabbab in Somalia, yet its mandate was prolonged and with it the sanctions on Eritrea. 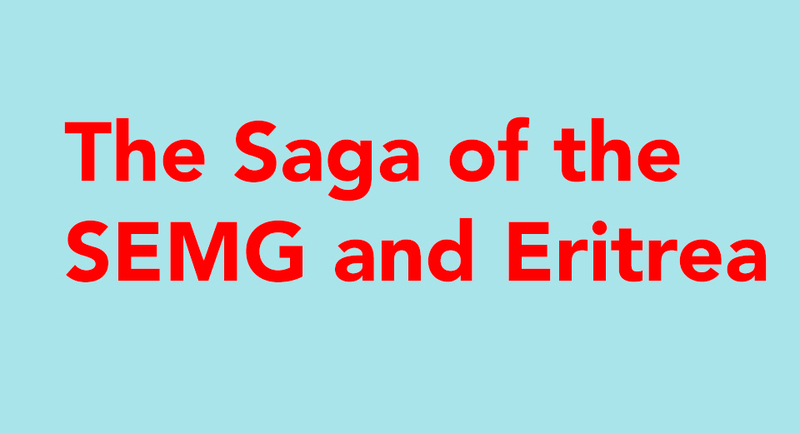 So, the saga continues… faceless, nameless entities funnel information to the SEMG, Eritrea is asked to disprove the allegations…. the merry go round and moving goal posts continue…so much for the credibility, integrity and efficacy of the UN Security Council-now reduced to serving as a bully pulpit to advance ulterior political agendas of the powerful veto wielding minority and their allies.